If you are suffering from hair loss or baldness, you may be one of them who are searching for an authentic and reliable hair clinic. You may visit the Avenues clinic that is proved to be a world-class Hair Clinic in Ahmedabad. The clinic is known for yielding successful results while it keeps the cost at the level where it remains affordable for the common people. If you want to know more about the authenticity of the Avenues clinic, you have to read more! 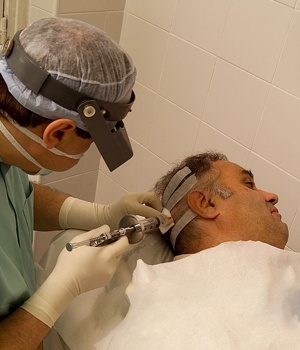 If you are going to undergo the hair transplant in the Avenues, you must not worry about anything as you are in a trusted clinic but we cannot say this about many of the clinics that are not registered and don’t have experienced and skilled doctors. The patients who decide to be treated in such clinic are in danger of a great failure of the procedure. For a secure treatment, all the patients just need to check the authenticity of the clinic. For checking the medical history of the clinic, before & after pictures work as a solid tool. All of the authentic clinics have before & after photos that can be shown to the patients who wish to check the medical history and the success rate of the clinic. Secondly, before & after pictures help in developing the trust of the patients as well. The Avenues clinic is an authentic clinic and the team of the clinic likes to win the trust of the patients. Therefore, they have a rich gallery of the photos that are enough to show that the how the clinic treats the patients with optimal expertise and mastery. These photos belong to Ansul who was suffering from baldness as the conditions of the scalp can be seen in the photo. 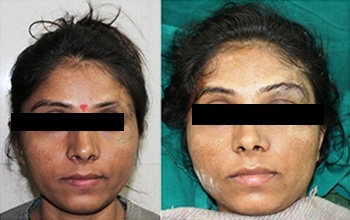 The patient was treated with the help of FUE and the results after the surgery can be observed by looking at the photos. As we see, the conditions of the scalp on the crown. The hairs on the crown are showing the ‘M’ shape which is generally observed in the male-pattern baldness. After the treatment, the look seems totally natural. Saumil’s head seems going to be completely bald as it seems at the advanced stage of baldness but after the treatment, the head is totally covered with hair and the hairline is also improved. the top of Chirayush but after the surgery, hairlines seems improved with normal temple areas. As we can see, eyebrows are fuller and improved after the treatment. Side view and front view photos of Vijay showing the extent of the problems and the effects of the hair transplant. These photos belong to real people who were facing severe problems but after they fixed a meeting with Hair Doctor in Ahmedabad and treated accordingly, they got amazing and unbelievable results. As we see, for building the trust and for proving the capability of the clinic, before & after photos are extremely important. You can look for more photos at the photos gallery of the Avenues clinic. 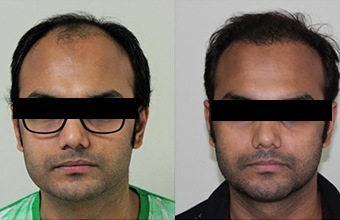 For More Hair Transplant Results Check Our Gallery Images.